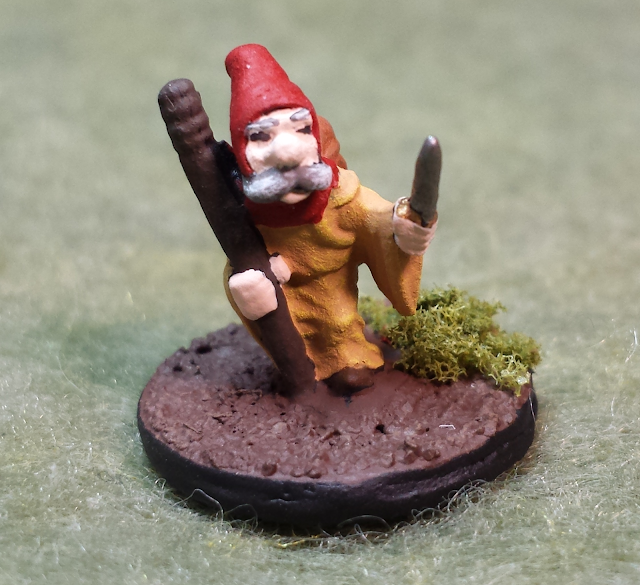 Finally I had a chance to do some painting after my vacation earlier this month, so I decided to continue with my 15mm Fantasy figures. 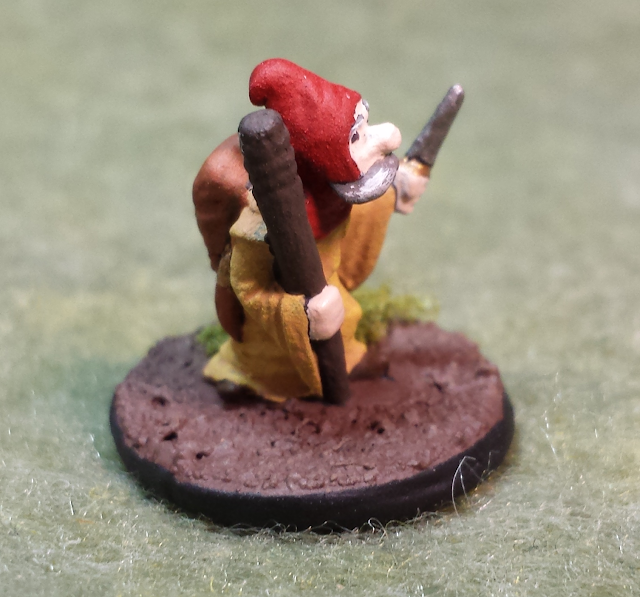 This guys is from Khurasan Miniatures and is part of their 15mm Fantasy line. Gnomes are quite a popular choice among the guys at JADE (particularly Dave and Elijah) for their silly nature. I had to get something that would work as any magic user, cover a wide range of possible classes. To me, this guys screams of a wizard. 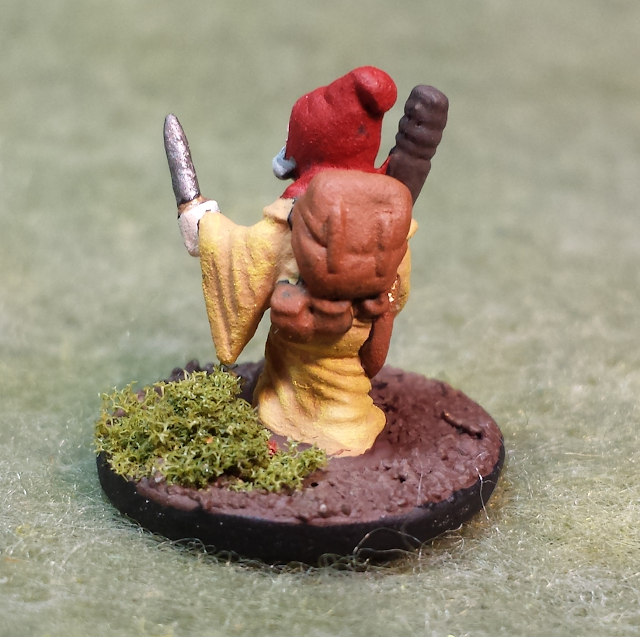 However for those of us who remember the illusionist class from first and second edition, it is also a good fit.